Dr. Janelle Pavlis has joined our team at the Skin Center. She graduated with high distinction from the University of Michigan, earning her bachelor’s in biopsychology and cognitive science. 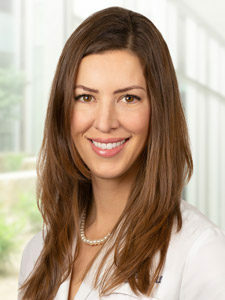 Afterward, Dr. Pavlis completed her Doctor of Medicine and Masters of Biomedical and Translational Science at the University of California, Irvine, also serving as a research fellow in the Departments of Ophthalmology and Dermatology. After completing her transitional residency at the Harbor UCLA Medical Center, she was a dermatology and cutaneous surgery resident at the University of Miami/Jackson Memorial Hospital where she was recognised for distinction in cutaneous surgery. Dr. Pavlis has published numerous scholarly articles and given many lectures covering a wide range of topics within her specialties. She serves on and leads numerous committees; has been the recipient of many awards and scholarships; and holds professional memberships at the American Academy of Dermatology, the American Society of Dermatologic Surgery, the Florida Society of Dermatology and Dermatologic Surgery and the Florida Society of Dermatologic Surgery.